The Grey has characters that get richer as the story goes on, even as they fight for (and often lose) their lives. You hear more dialogue than your usual bickering, disagreements, or platitudes. They are more than hollow human characters. It’s a shame, then, that the story, already with enough natural tension of its own, would choose to change the true nature of wolves, making them predators on par with the inbred hicks from Deliverance. Early in the film, we get to know that our main protagonist, Ottway (Neeson), is an expert of sorts, when it comes to wolves. His job in the oil drilling plant in Alaska is to take out wolves who live on the fringes of the settlement. We see a peculiar example of this when a group of men, oblivious to their surroundings as they talk to each other, are charged by a solitary wolf. Given their nature to hunt in packs, this seems like an odd, desperate behavior for a wolf. Why the wolf does this is never explained. Later, after an airplane crash has set 7 of the oilmen against the extreme weather, they start getting picked off by the wolves. Ottway gives a couple of possible explanations to why these wolves would charge into an area with multiple fires and a relatively large number of men. At once he states they might be in the territory of the wolves, that the territory is ever-changing, and they might stand a better chance if they amble off through the heavy snow towards a treeline. Perhaps, he says, they will get out of the territory at that point. Well, if I were one of the survivors, this is where I would ask for my 1/7 rations. Better to be holed up where the plane lies burning in an open field than picked off one by one in territory unfamiliar to me and familiar to the wolves. Make a shelter with all the burnable material. Make a stand. Use metal, jet fuel, anything you can for a weapon. In the woods you have…sticks. 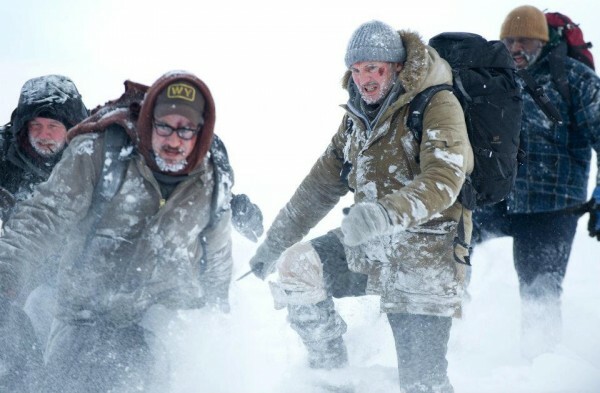 The thing about The Grey, is it is a truly enjoyable and serious tale. Neeson holds his character like an artist. His performance is sad, valiant and brave, in the way he overlooks some of the sillier elements of the plot. There is no such thing as over dramatization in Neeson’s vocabulary. He underplays everything to the point that he is someone anyone could know and have no idea how kind, resilient or lethal he truly is. The role he has been on since Taken is a glorious worldwide recognition of his abilities. At 60, he has become a bankable headliner after a career of playing further down the cast list. The rest of the cast is equally interesting, in particular, Henrick (Roberts), Burke (Anozie), Diaz (Grillo) and Talget (Mulroney). All have interesting dialogue, and none are taken out like chumps. 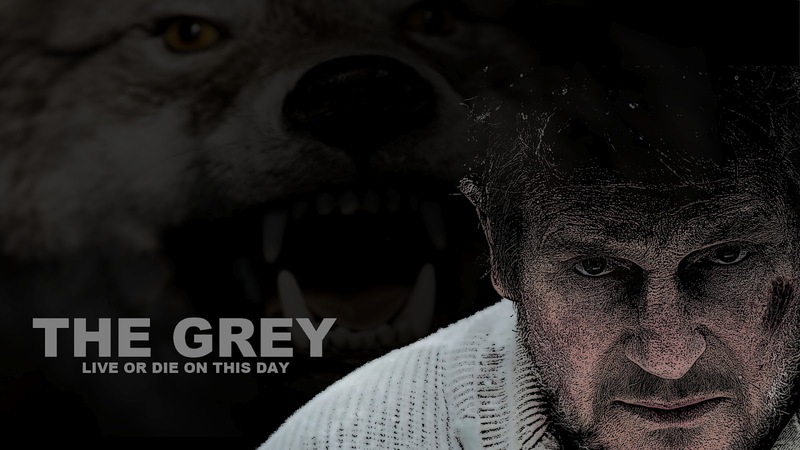 If the storytellers had just allowed the wolves to be part of the film, instead of an unconvincing constant menace, The Grey would have been much more logical and, hence, more interesting. Carnahan has a wonderful touch for landscape, both human and nature. His bar scene at the beginning is poorly shot in a comical way, but once they get to the plane, everything flows like art should. The segues into important moments in the lives of the characters are beautifully shot and with a certain logic. If only they could have stayed in that arena. There are several memorable moments in this film. Most of them don’t involve the wolves. If you watch it, you should like it anyway. Next Post Ghost Rider: Spirit of Vengeance is not too hot. I simply want to mention I am just beginner to blogging and certainly liked your blog. Most likely I’m planning to bookmark your site . You definitely have fantastic writings. Thank you for revealing your web site.